The Easter holidays were typically festive for Norway’s indigenous Sami people, marking a high season for weddings and other traditional celebrations as the days grow longer and lighter. This year some ominous clouds had been gathering, however, following a string of disturbing incidents and claims of discrimination by Sami leaders. Just a few weeks later, Sami taking part in the Youth Olympics in Lillehammer were subjected to harassment during a display of reindeer racing known as reinkappkjøring. “Cut the heads off these reindeer, we don’t want to see any Sami,” yelled some young passersby who then disappeared into the crowd. “I was speechless,” reindeer owner Anders Nils Eira from Karasjok told Norwegian Broadcasting (NRK). He said he’d never experienced such blatant harassment as a Sami in Norway. Organizers of the Youth Olympics said they were “shocked and disappointed,” and condemned the verbal abuse. Not long after that, Sami reindeer herders in Trøndelag were told their grazing lands would become the site of a huge windmill project on the Fosen peninsula. The project under development by energy firms including state-owned Statkraft, Trønderenergi and Nordic Wind Power DA has been characterized as a “tragedy” for the southern Sami reindeer herders in the area. The Sami Parliament has appealed the decision on the grounds that the reindeer operations are an important part of the local Sami culture, while state officials including the government support the project as an important part of promoting renewable energy and cutting carbon emissions. Sami leader Keskitalo is left battling what she sees as discrimination on several fronts. The allegedly waning state support in the form of effective budget cuts has, she says, serious consequences for a culture under constant threat. “One example is the shutdown of the southern Sami school in central Norway, which was eliminated with a stroke of the pen,” Keskitalo said. That has sparked concern from the United Nations’ committee on racial discrimination, which has asked for a clarification from the Norwegian government after Sami officials reported the school’s closure to the UN. The sørsamisk language taught at the school has been “red-listed” by UNESCO as in danger of disappearing. 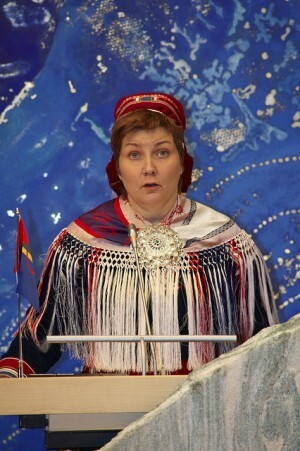 Helga Pedersen, a former government minister and veteran politician for the opposition Labour Party from Northern Norway, agrees that the Sami “have been shoved out into the cold” lately. She cited funding cuts for legal help for Sami in Norway’s northernmost county of Finnmark, the loss of the Sami school and even a cut in critical funding status for the annual Riddu Riddu music festival. It all led to Samis protesting in front of the Norwegian Parliament in Oslo late last year for the first time since the still-controversial destruction of wild waterways outside Alta 30 years ago, to create new sources of electricity. Keskitalo went further, claiming in her own New Year’s address to the Sami Parliament that “the same authorities who did what they could to destroy Sami culture now think the culture should be rebuilt on Norwegian terms.” She contends the government is consciously fornorsking again, resulting in “uncomfortable reminders of a time we thought we had put behind us.” If that’s not the case, she said, the government must change its course. The editor of Northern Norway’s largest newspaper, Nordlys in Tromsø, warned that government must take the Sami concerns seriously. “If I was (Prime Minister) Erna (Solberg) and heard the Sami president’s speech, I would pay attention to the signals it sent,” Anders Opdahl told Dagsavisen. Jan Tore Sanner, Solberg’s government minister in charge of municipalities, responded that he and Finance Minister Siv Jensen have met with Keskitalo regarding the budget for next year, at which “the Sametinget presented its needs and views.” He said more meetings are scheduled and that the government has “dialogue and consultations” with the Sami parliament on a long list of issues. He claimed the budget for this year faced “tough priorities,” at a time of economic downturn in Norway, and that overall funding for Sami projects remained at “around the same level” for 2016. Sanner said a new commission set up at the request of the Sami Parliament will review laws and programs related to the Sami language and dialects in Norway. “My impression is that the dialogue is good,” Sanner stated. 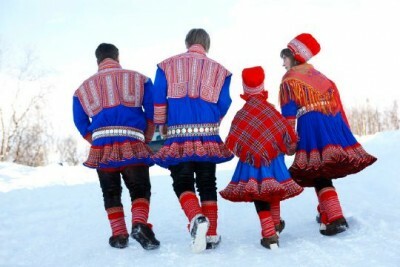 There are around 55,000 Sami in Norway, the largest of the indigenous population that traditionally moved around Arctic areas of Norway, Sweden (20,000), Finland (8,000), and Russia (2,000). Despite the offensive remarks made by the politician from the Progress Party on their national day, celebrations were festive also in Oslo, where Keskitalo herself took part in a variety of events that included breakfast at City Hall, Sami-Norwegian church services at the Akershus Fortress and Castle, special food displays and concerts, with the four-coloured Sami flag flying. “We Sami are unfortunately accustomed to harassment, and mostly ignore it,” Keskitalo said. “But it was special when a Member of Parliament from one of the government parties put forward such remarks. He’s in a powerful position, and what he says can send a signal that legitimizes such an attitude.” Ulf Leirstein refused to comment further on his controversial tweet. Several other top Norwegian politicians lashed out at it, including Prime Minister Solberg, who has long supported a Sami national day and called Leirstein’s remarks “stupid and unnecessary.” Solberg also stressed to NRK that they certainly did not reflect the government’s views or policies. The president of the Norwegian Parliament, Olemic Thommessen, said he had no authority over individual MP’s expressions on social media, but stressed he was among those celebrating the Sami national day.